Pulmonary and respiratory disease clinical trials are studies that research the causes, prevention and treatment of diseases in the respiratory system. 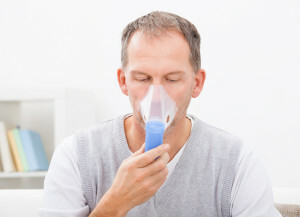 Conditions such as pneumonia, asthma, bronchitis, and chronic obstructive pulmonary disease (COPD) canimpair patients’ ability to function in their every day lives. Some of these conditions can even be deadly in those with already compromised immune systems. Since smoking is a large cause for many respiratory problems, smoking cessation is another important aspect that pulmonary and respiratory diseases clinical trials study. If you have been diagnosed with a disease in your respiratory system, or if you are interested in studies that may help you quit smoking, you may qualify to participate in a pulmonary and respiratory disease clinical trial. What are Pulmonary / Respiratory Diseases? Pulmonary and respiratory diseases are those that affect the respiratory system. Pulmonology is the study of these diseases and it is also known as chest medicine and respiratory medicine. The upper respiratory system is made up of the lungs, upper respiratory tract, pleural cavity, and the nerves and muscles that help us breathe. Pulmonologists who study and treat these diseases deal with everything from the common cold to the sometimes-deadly pneumonia. Other issues they frequently treat include asthma, bronchitis, smoking cessation, and chronic obstructive pulmonary disease (COPD). Pulmonologists use x-rays, pulmonary function tests, biopsies, and sometimes ultrasound to diagnose their patients. Some of the causes of pulmonary and respiratory diseases include inflammation, obstruction, infections, and tumors.